Thick, lush, healthy, silky smooth, shiny hair—it’s every woman’s dream. For men, it’s simpler, but the same idea—a thick, full head of hair. As a cosmetic dermatologist, hair loss and thinning are among the most emotionally difficult concerns patients come to me with. And it’s anything but superficial. Hair is deeply tied to our self-esteem. When patients ask me what options are available to them to grow their hair, I explain their many options. From over-the-counter products to in-office treatments and home-use lasers, here is a breakdown of the options you have if you suffer from hair loss. These are options that are available at your drugstore or online. They often contain the FDA-approved active minoxidil, alone or in combination with other ingredients. Your dermatologist may also custom-make a formulation adding in prescription-strength ingredients that are not otherwise available. Minoxidil is FDA-approved to grow hair in both men and women and is available in various concentrations at drugstores, your dermatologist’s, or online. 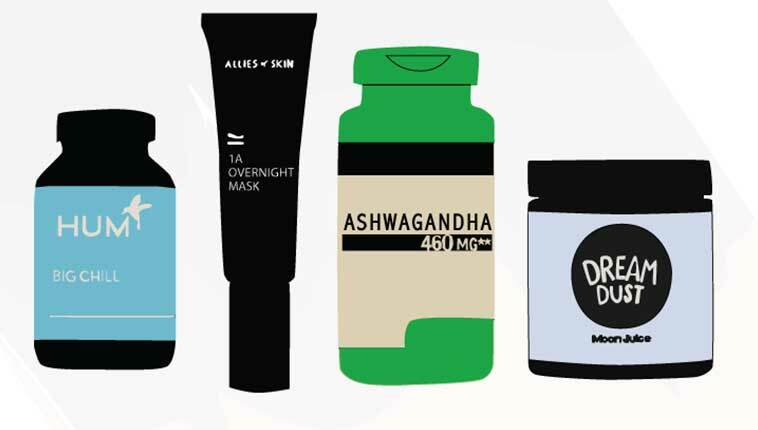 The ones dermatologists carry typically also include other supporting ingredients. I have one in my hair growth program that also contains niacinamide and caffeine to minimize irritation, improve absorption, and optimize the anti-aging effects to the skin and follicles. Antioxidants are helpful in creating healthier scalp skin and hair follicles, improved circulation, and stronger hair. They work well with other components of a hair growth program to support and optimize results. Julien Farel Magnifique Serum contains an excellent cocktail of antioxidants including resveratrol in a formulation that leaves the scalp rejuvenated. I’ve even seen it help with patients who have itching, scaling, and redness of the scalp with or without hair loss. It works well alone and even better with Julien Farel Restore Shampoo. Esteem botanical hair loss solution is one I created as part of my hair growth kit, and has a mix of natural actives to help support hair growth. 2. Make existing hair thicker and fuller. 3. Grow new, thick hair. Almost all patients who use these low-level lasers experience Steps 1 and 2. 70% of patients experience the regrowth stage, Step 3. Low-level laser therapy devices are great because you can use them on your own time, in the comfort of your home. You can also use them in conjunction with other hair growth procedures and prescriptions. In my research, I’ve found some standout brands to be: Theradome, Capillus, and Laser Cap. Cortisone injections are done by your dermatologist and work well for all types of hair loss, including male and female genetic hair loss. Using topical cortisone is not effective since the follicles are deep and the medication is carried away by the bloodstream before reaching them. I do low concentration injections at monthly intervals for five months and then switch to treatments every three months. At the concentrations and volumes I use, I have never seen any systemic side effects or atrophy (thinning of the skin of the scalp). There are two supplements I believe are the most effective for hair growth, according to data. AminoMar, a marine complex that provides the essential proteins needed to nourish thinning hair and encourage growth of existing hair. Horsetail Extract, an organic form of silica that increases the strength of the hair and revitalizes lifeless hair. Vitamin C derived from the acerola cherry (one of the richest sources of vitamin C available). Tocomax 20% , a form of vitamin E extracted from Tocomin palm oil. It’s been shown in a clinical study to increase hair growth by 34% on average. Sensoril Ashwagandha, clinically proven to decrease the levels of the hair-damaging stress hormone cortisol. BCM-95 BioCurcumin, a potent anti-inflammatory and antioxidant extracted from turmeric. It optimizes the immune system and fights molecules that slow hair growth. Hydrolyzed Marine Collagen & Hyaluronic Acid, which rebuild the structural integrity of the hair follicle environment, improve moisture, and promote diffusion of nutrients. I offer Propecia and Avodart to my male patients with male pattern hair loss—either alone or along with my hair growth program. I recommend that patients alternate between the two medications, such as taking Avodart on Tuesdays and Fridays and Propecia the remaining days. Some doctors also prescribe these medications for women, but it’s not something I’m comfortable with. For women with a hormonal pattern and who are not planning pregnancy, I sometimes offer Spironolactone, an off-label use of Avodart. High doses are needed, and there can be side effects such as irregular periods, dizziness, high blood potassium levels, and breast swelling and tenderness. It can also take a full year or so before seeing results. I spent years researching and reviewing data and devices for PRP for the scalp before deciding to add it to my hair growth program. The hair-promoting effects of PRP are supported by studies showing a faster transition to the growing (anagen) phase of hair cycling back from the resting and transitional phases, and also an increase in the number of newly formed follicles and earlier hair formation. The process is an in-office treatment that starts with gentle tapping into a vein in the arm to extract a small amount of blood, which is drawn into a specialized test tube. The test tube is actually the key to the process and is what separates one system from another. It contains filters that when placed in a centrifuge and spun at rapid speeds, separate out and concentrate the platelet-rich plasma. There is no FDA-approved process or protocol, so each office determines their own program. This is something I recommend for my patients with male or female pattern hair loss, or for rejuvenation of the scalp and follicles to recover from the age-related changes of loss of volume and density. I do not recommend it for those with the autoimmune form of hair loss such as alopecia areata, alopecia totalis, universalis, or for scarring forms of hair loss. Hair growth is complicated. We don’t understand all the mechanisms of loss so it’s difficult to come up with a precise single mode of treatment. For every patient, I recommend managing stress and diet along with using one or a combination of hair growth treatments to help maintain and grow the healthiest, most beautiful hair possible. Not all dermatologists are comfortable treating hair loss, so it’s important to find one who can properly assess your condition and review the best treatments for you. This article was originally published on Dr. Day’s blog, and adapted for Charlotte’s Book. Here’s what Dr. Doris Day thinks about beauty and aging. Plus, more on PRP for hair regeneration. Book a consultation with Dr. Doris Day. Read client reviews, book appointments, and get advice from the experts in Charlotte’s Book. Only the best cosmetic doctors, skincare gurus, nutritionists, and fitness and wellness professionals make it into our book.